Cycling Clinic must enter online Entry Boss by 3.00pm on the day. JDP enteries on the day. No change to gradings on race day. 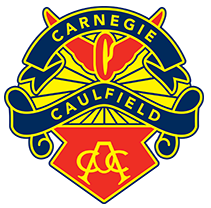 Email carnegiehandicapping@gmail.com with requests for grade changes at least 48 hours prior to race day. Enter the circuit via Racecourse Drive. Entry is at the pits on the West side of the circuit. By entering the Sandown complex, all riders and spectators agree to comply with the following rules, which are in addition to CCCC’s Rules for Racing and the Cycling Australia Code of Conduct. IMPORTANT NOTICE: We may only enter the Sandown complex from the Princes Highway. ALL cars, officials and bike riders on both a Tuesday and Thursday nights must now enter the complex via the Princes Highway, melways ref 80 D 7. The Sandown road entrance will be CLOSED to all traffic. Other than the access road, car park, toilet block, registration pit garage, pit lane and the grassed area between pit lane and the racing circuit, all other areas are off limits to both riders and spectators. THIS INCLUDES THE GRANDSTAND AND SURROUNDING GRASSED AREAS, AND THE ROOF OF THE PIT BUILDINGS. Only riders who have registered and paid to race, and are displaying their race number, are allowed on the racing circuit once it has been declared open by CCCC officials. No spectators are permitted on the racing circuit. Toilet facilities are provided at the southern end of the car park. Failure to use the proper facilities will incur a $100 fine and 6 month suspension from all forms of racing. Any instruction from a CCCC or Sandown official must be immediately followed. No dogs are permitted within the complex, due to horse racing quarantine regulations. Riders must present a current Cycling Australia license or receipt in order to register. Note: this information is by no means exhaustive, and may be amended from time to time. If you any questions regarding the conduct of CCCC races, racing rules or etiquette, please do not hesitate speak with any of our marshals or race officials.